On October 7, 2015, Jalil was arbitrarily denied receipt of four books after they had been approved by the package room. 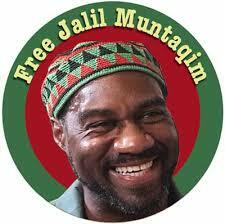 Jalil would like folk to write to Commissioner Annucci regarding this matter. There is a reoccurring problem at the package room pertaining to the receipt of books and reading materials. Today, I was called to the package room to receive several books (Billionaires: Reflections on the Upper Crust, by Darrell M. West; Plutocrats: The Rise of the New Global Super Rich and the Fall of Everyone Else, by Chrystie Freeland; Clandestine Occupations—An Imaginary History, by Diana Block; and Escaping the Prism—Fade to Black, by Jalil Muntaqim). The last book is of my own writings, my third published book. All of the books were originally approved to be received when received by the package room. However, when the package room officer started to give me the books, seeing the one written by me, he decided the books were no longer permitted to be received. I then requested the books be sent to media review pursuant to Directive 4911(H)(1)(b). The officer refused, demanding they be sent from the facility or be destroyed. This is not the first time I’ve been denied publications and books from package room officers, or books were not processed according to Dir. #4911 and/or Dir. #4572. For example, as here enclosed, a publication was sent to Media Review without my being informed of receipt to the facility. The only notice of the publication receipt was from Media Review, informing the publication violated specific guidelines. This is not the correct protocol or procedure when books and publications received by the facility are sent to Media Review. Again, when the officer today recognized one of the books was of my own writing, sent by my publisher, he decided at the window I could not have the book after first giving me the receipt paper for me to sign to receive the book. He then rejected the three other books out of hand, again denying they be sent to the Media Review Committee, although invoices for each indicated they were properly ordered. I would prefer not to presume the officer at the package room was prejudiced due to my being the author of the book. However, the only conclusion to be reached, after the books were initially approved to be received, is that the officer’s refusal to permit me to have the books at the window obviously provides no other plausible reason than his personal disdain and prejudice. This is my first formal complaint to your office, although this has been a reoccurring problem. I sincerely hope your office will investigate this matter, and assure future receipt of books, publications and literature will be processed according to stated Directives, and not subject to officers’ prejudice, capricious or arbitrary discretion. I have been in Attica this time since 2011, enduring the rampant racism and stress of threat of brutality. I’ve been concentrating on building community support for eventual release on parole. However, there is an increasing level of harassment and prejudice being directed toward me and friends (family) who visit. Previously, I requested those who suffered such disrespect and harassment to raise their concerns with the office of DOCCS Commissioner. However, the majority of the time I’ve asked visitors to ignore such harassment. However, it is now approaching a problem in which minor concerns such as receipt of literature are being arbitrarily denied in violation of specific Directives that are in place to mitigate against such violations. In this regards, I am enclosing a complaint raised with Superintendent Dale Artus, in furtherance of making a record. If litigation is required, Notice is here given. There is an ongoing and continuing problem of violation of Directive(s) #4911 and #4572 at this facility. I have previously litigated this matter in a general issue of misappropriation of funds, and failure to vote exchange of packages for TV, and no Inmate Liaison Committee elections at this facility. Nonetheless, the persistence of fundamental Directive violations, for me has reached a nodal point demanding this matter be brought directly to your office’s attention. Given the extent of the reoccurring problem, and the years of experiencing this violation, it is my sincere hope a full and complete investigation will be made subject to this complaint. Your prompt and concise reply to this matter would be greatly appreciated. 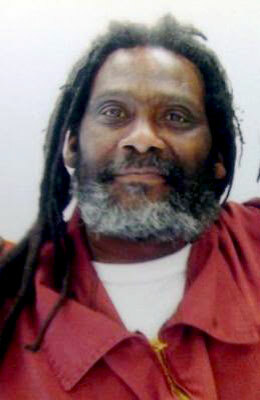 First we would like to take the time and thank all of the people who last week called The Pa Parole Board and expressed their interest to The Parole Board in regards to Parole being granted for Eddie Africa . Even though last week was HUGE Success we still have much work to do going into Eddie’s scheduled October hearing even though they have not given him an official date for his parole hearing . Now is the time to turn it up and keep the pressure on The Parole Board and hold them accountable . We are asking people that this week October 12th thru October 16th to email The Pa Parole Board at Ra-pbppoc@pa.gov and express your strong interest to Chairman Michael L. Green in Eddie being paroled from prison . Here are key points people can include in their emails to the Parole Board . (1) Eddie Africa has had an excellent prison record in which he has not had a disciplinary write up in 16 or more years now . Also it is very important to stress the fact that not only are you monitoring the upcoming parole hearing for Eddie but you have a strong concern over the conflict of interest over the fact that newly appointed Parole Board Chairman Michael L.Green was appointed to The Parole Board over ten years ago by then Governor Edward G Rendell who was the same man who District Attorney Of Philadelphia in the late 70’s early 80’s office prosecuted Eddie and the rest of The Move 9. Again People can email The Pa Parole Board at Ra-pbppoc@pa.gov emails can be addressed to the Attn of Michael l. Green Chairman Of The Pa Parole . Regarding Parole for Edward Goodman Africa am4974 . Queensland’s corruption watchdog is overseeing a police investigation into the death of an Aboriginal man in custody. 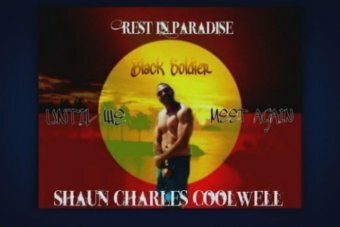 Shaun Charles Coolwell, 34, died after being restrained by officers who had been called to an address at Kingston, south of Brisbane, before midday on October 2. At the time, Mr Coolwell was still mourning the death of his brother who died in similar circumstances four years ago. Mr Coolwell had hurt himself and was bleeding profusely at the time of the arrest, family spokesman Sam Watson said. His family called an ambulance, and it was paramedics who called police. “Apparently the police restrained him,” Mr Watson said. Neighbours said about 12 police cars and two ambulance crews responded to the incident. A Queensland Police statement said officers had to restrain Mr Coolwell to prevent him from hurting himself further. He was placed in handcuffs, which were later removed. “[Paramedics] required assistance with a patient who was behaving violently and aggressively,” the statment said. Mr Coolwell was taken by ambulance to the Logan Hospital where he died. A report is being prepared for the coroner, however Mr Watson wants an independent investigation into the death. “We do not believe the Ethical Standards can deliver that, we do not believe the Crime and Corruption Commission can deliver that,” he said. “This is not the sort of treatment you’d extend to a person who is in critical medical need. Family lawyer Renee Williams said “the family is seeking urgent answers in respect of this latest tragic death, but the details provided so far by authorities have raised more questions than answers”. Mr Coolwell’s brother Bradley Coolwell had also been detained by police at the same address and died after being taken to Logan Hospital. An inquest into Bradley Coolwell’s death is currently scheduled to occur in November. Mr Coolwell’s relative Sonya Coghill was part of a group who gathered at Musgrave Park in Brisbane today to discuss the matter. She said all of the authorities at the scene were responsible for Mr Coolwell’s wellbeing. “We all have a duty of care, regardless what role we take on,” she said. After nearly a three-week lockdown at UPS Coleman I, what we feared has occurred. 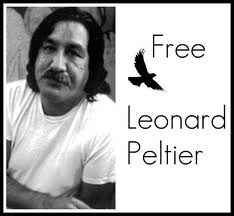 Due to being served one warm meal a day and bread and water for the other meals during this period, Leonard Peltier’s blood sugar is high and out of control. The solution? The doctor gave Leonard a list of foods not to eat. But here’s the problem: ALL the foods Leonard has been told not to eat are the only foods available to him. Be respectful, but firm. The situation is life threatening. After many years of high blood sugar, Leonard is at serious risk for kidney failure and the need for dialysis, blood vessel damage in the eyes that can lead to blindness, and nerve damage in the feet that could lead to the need for amputation. Supporters should also remember that Leonard already suffers from a heart condition. Heart disease is, in fact, the number one cause of death in people with diabetes. Leonard needs our help. Act now. Write or fax a letter. Make a call. Send an e-mail.